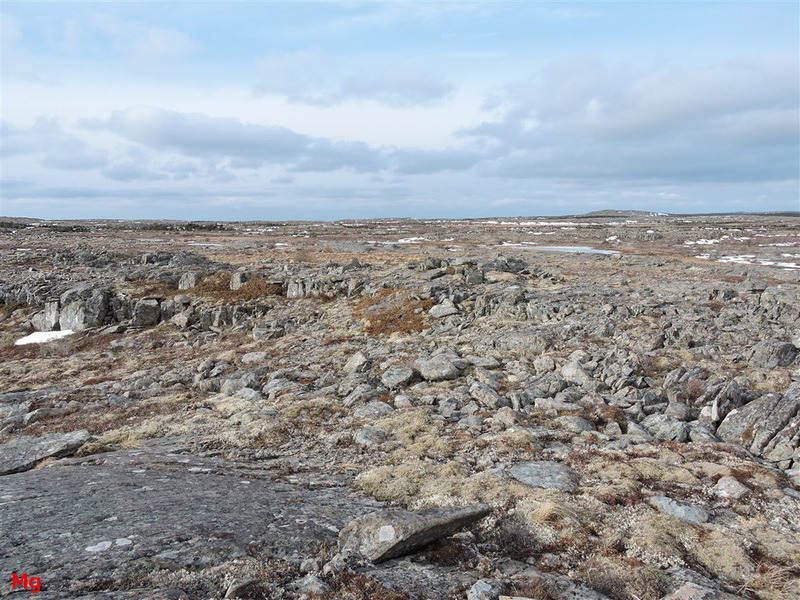 Could a polar desert have existed 12,300 years ago in parts of Heart of Avalonia? Polar deserts are cold dry climate zones usually associated with earth's polar regions. 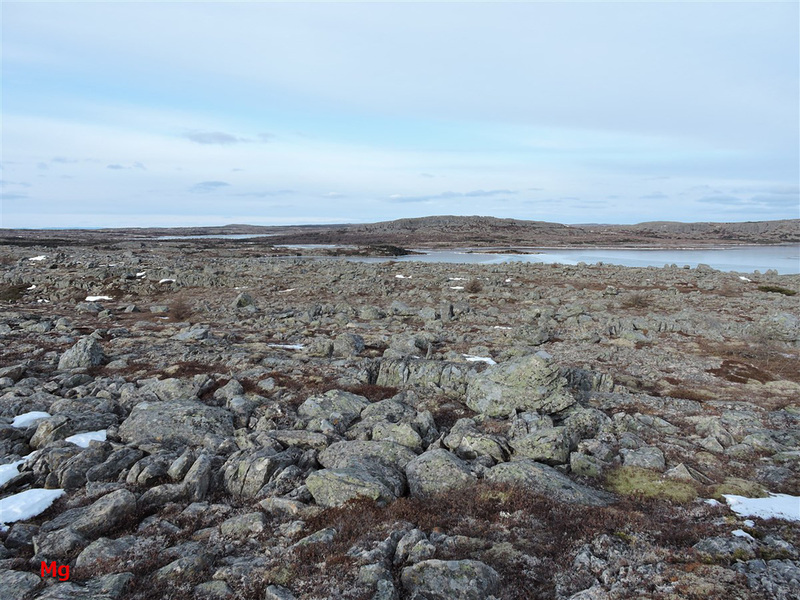 By definition, the average annual precipitation in a polar desert does not exceed 250 mm of rain equivalent, and the average temperature of the warmest month does not exceed 10 deg. C. A polar desert may or may not be glaciated. Present day polar deserts are found mainly in Arctic and Antarctic regions, but during the Wisconsin glaciation, they extended over much wider areas. The midpoint of the Younger Dryas stadial occurred 12,300 years ago. Greenland ice core records indicate that temperatures at this time were as cold as during most of the Wisconsin glacial stage. Present-day July/August average temperatures in eastern Newfoundland (15 deg. C) are only 5 deg. C above polar desert criteria but present-day precipitation (annual average 1500 mm) is far in excess of that defining a polar desert. Glacial periods are dryer than interglacials in many parts of the world, particularly in those areas where moisture must travel large distances over ice or frozen land. 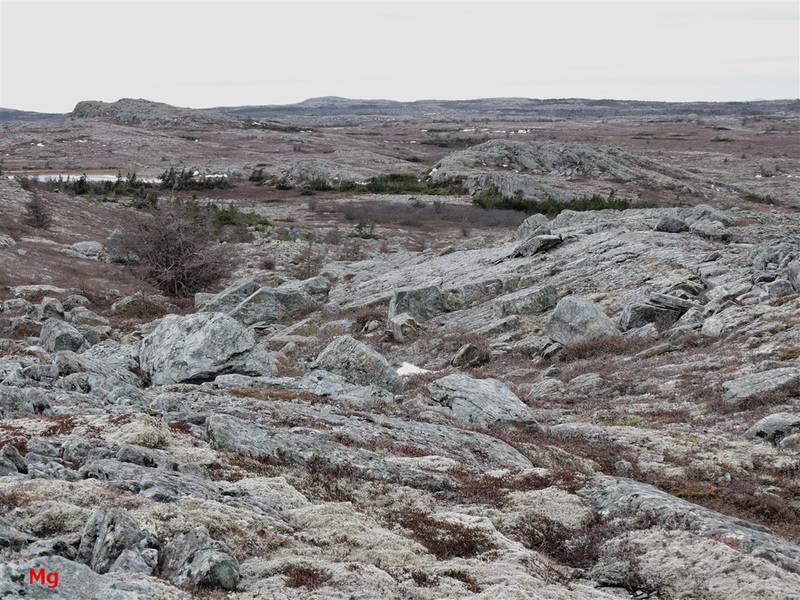 The location of Heart of Avalonia would make it susceptible to experiencing a dry climate if prevailing winds shifted to a direction more northerly than the present-day southwest to westerly trend. Such a deviation in prevailing winds, occurring during part or all of the Younger Dryas, and blocking moisture-bearing storms from south of the region, could potentially induce a colder, dryer (polar desert) climate. 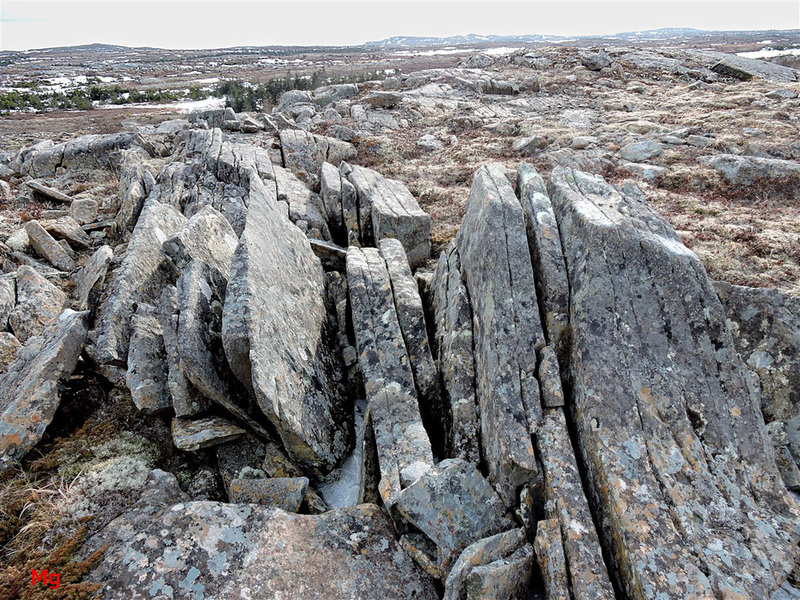 The relict ice-disrupted bedrock features seen on the Avalon Peninsula often superficially resemble similar features seen in Arctic and Antarctic regions. 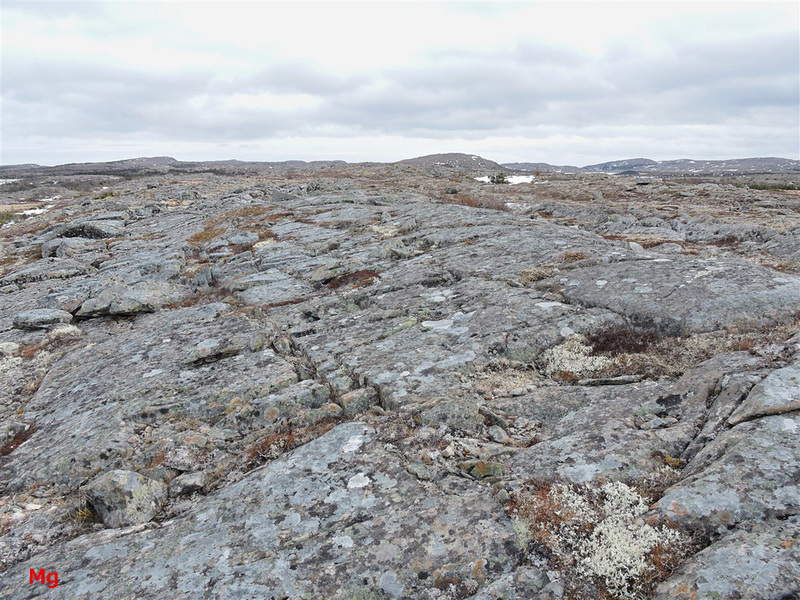 These polar bedrock frost-heave features form subaerially in a frost-wedging process (ice segregation) powered by seasonally-induced temperature gradients. 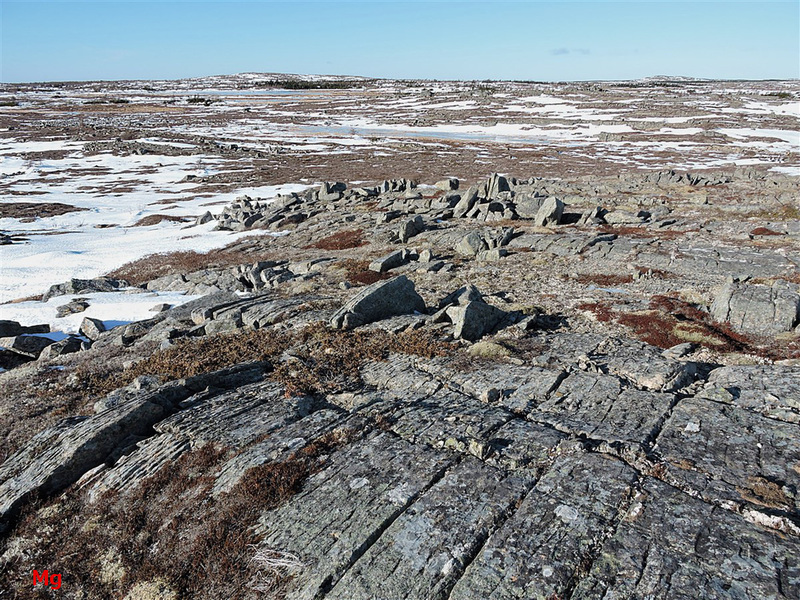 If bedrock frost heave on the Avalon Peninsula occurred in a subaerial environment, then there must have been partial or total deglaciation of substantial areas during the warming climate (Bolling-Allerod) leading up to the Younger Dryas or during the Younger Dryas period itself. 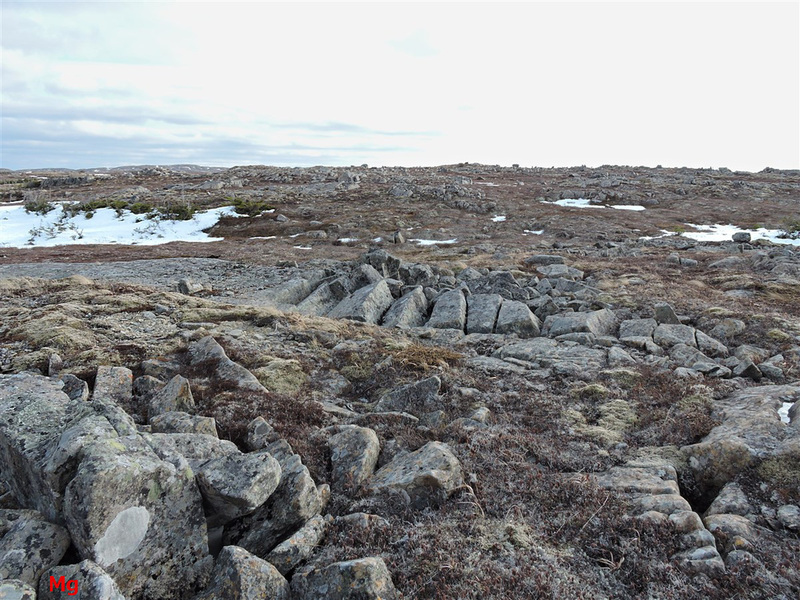 More than four meters of ice overlying bedrock strongly dampens the seasonal temperature gradients needed to drive frost heave. 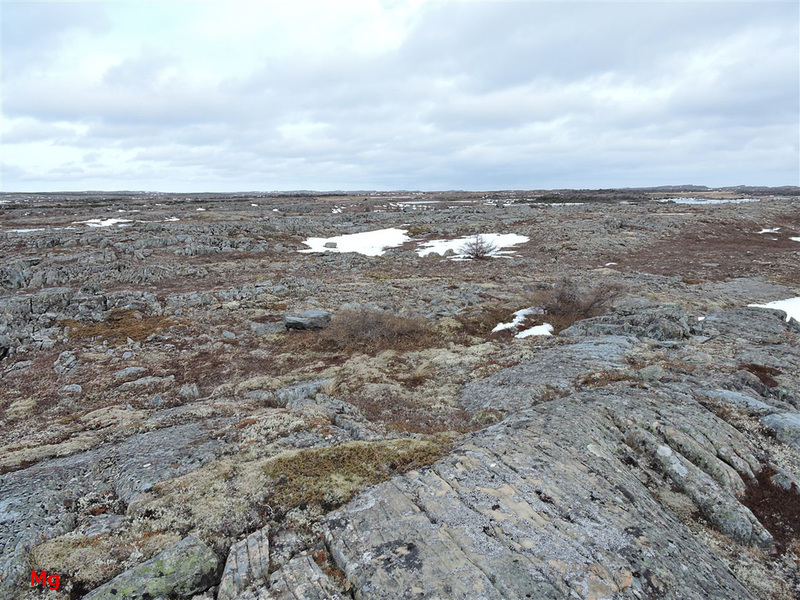 There is also a requirement that frost-heaved bedrock areas not subsequently be subjected to an episode of renewed basal-slip glacial erosion. 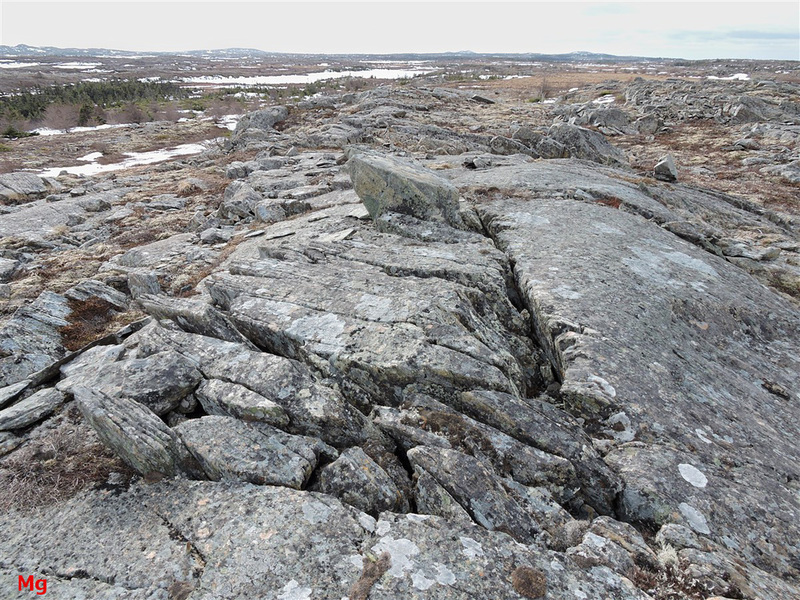 Such follow-on erosion would erase many of the fragile frost-heave features. 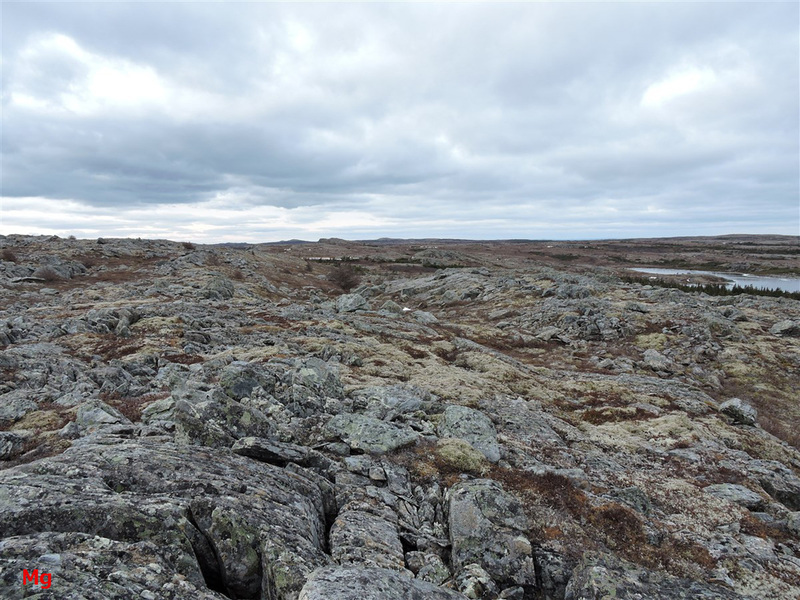 A significant interval of polar desert conditions (periglacial conditions without sufficient precipitation to perpetuate glaciation) is implied by a subaerial-origin model for Avalon ice-disrupted bedrock features. 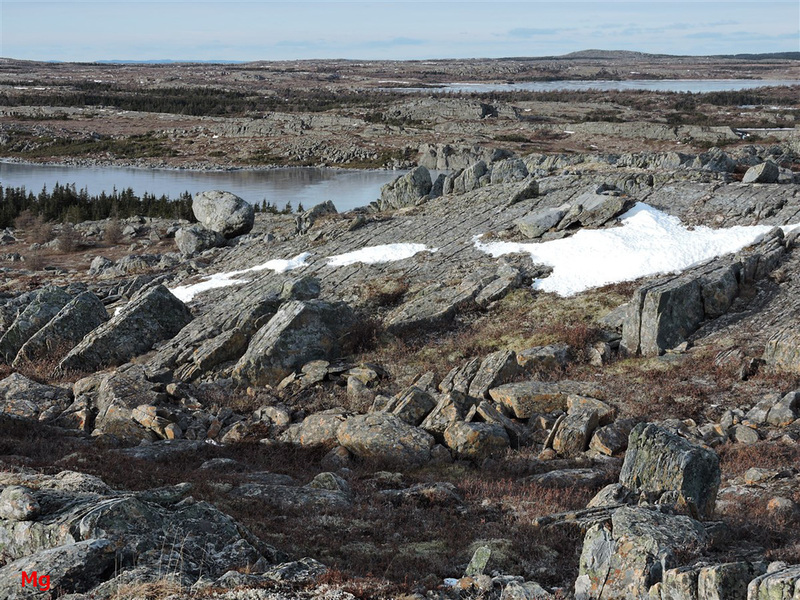 There are clear indications that many of the bedrock frost heave features and other ice-disrupted bedrock features seen on the Avalon Peninsula are subglacial, not subaerial, in origin. 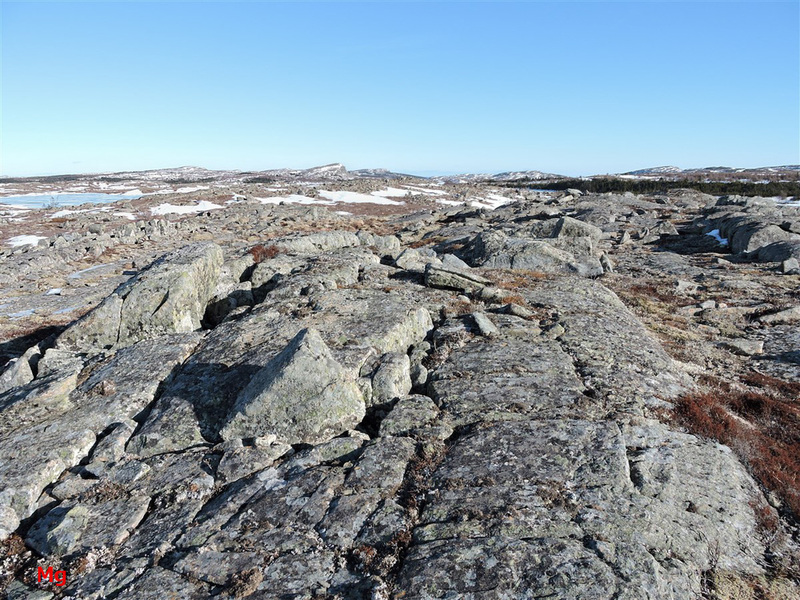 Inferring a subglacial origin differentiates the frost-heave features seen on the Avalon from the subaerially formed ice-disrupted bedrock features seen in Arctic and Antarctic regions. 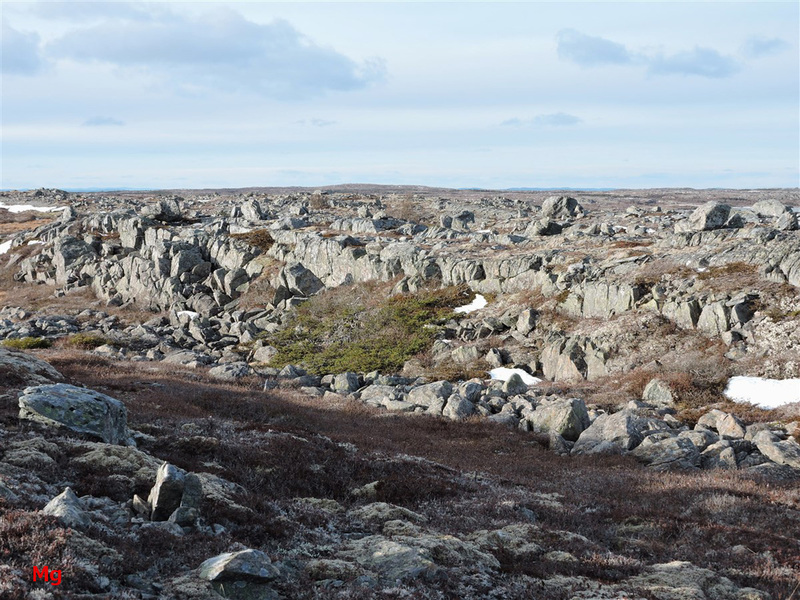 An extended period of polar desert climate conditions is a necessary assumption in proposing a subglacial origin for the bedrock frost-heave features seen on the Avalon. 1) Thick warm-based glacial ice cover drives subglacial pressurized groundwater deep into bedrock joints and pore spaces. 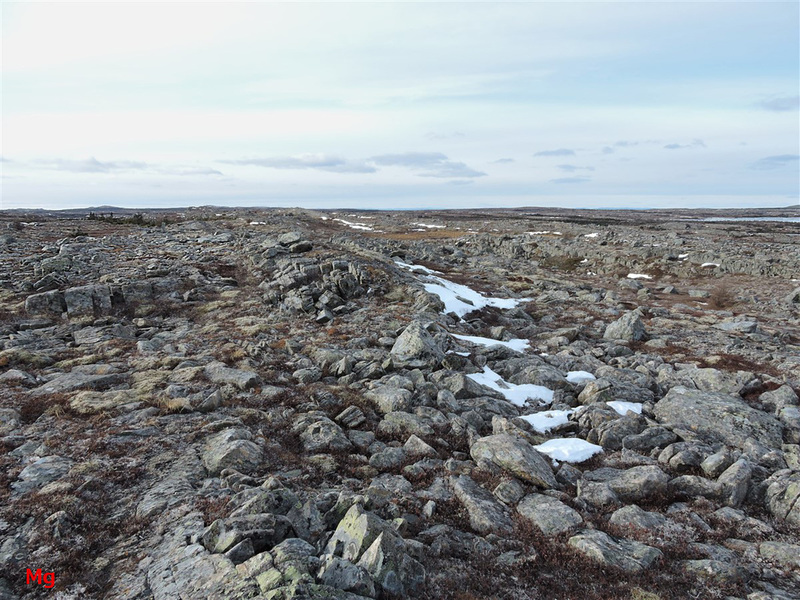 2) Thinning ice and cooling temperatures during the Younger Dryas cold period allows a freezing front to move downward through glacial ice, reaching and penetrating subglacial bedrock. Glaciers become cold-based. 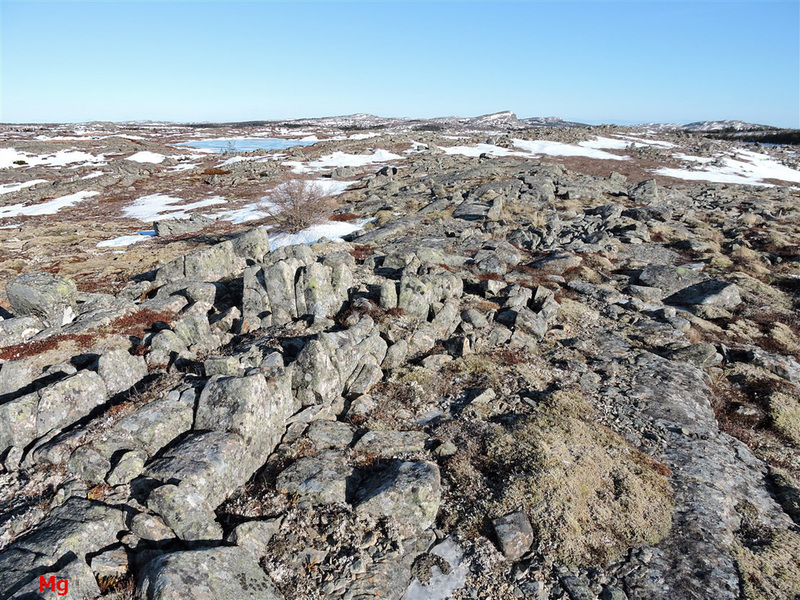 3) Sustained polar desert conditions and the corresponding lack of precipitation allows downwasting of cold-based glacial ice via creep, sublimation and shallow summer runoff. 4) Depleting ice cover diminishes subglacial hydrostatic pressure yielding an imbalance of pressure (overpressure) in groundwater trapped below a frozen glacier/bedrock interface. 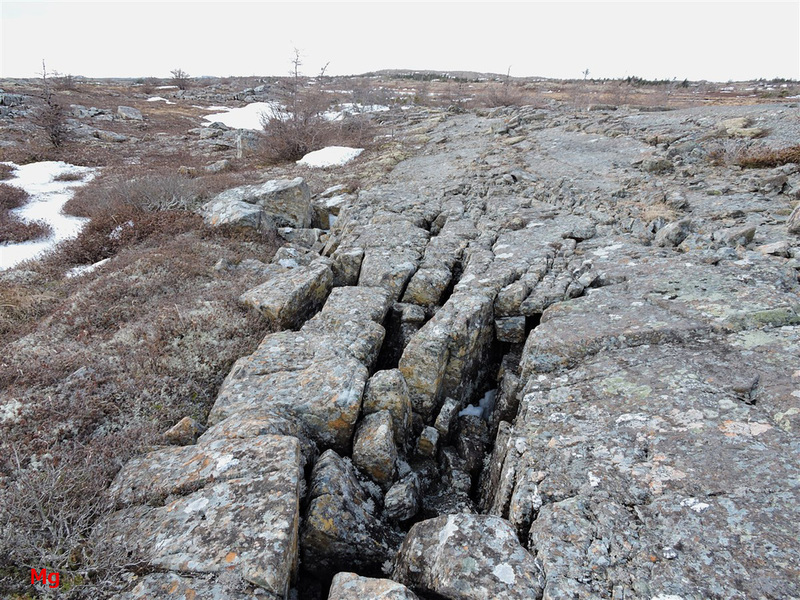 5) Groundwater overpressure pushes supercooled pore-water and water in bedrock joints toward the glacial base whereupon freezing progresses, ultimately stressing subglacial bedrock in tension. 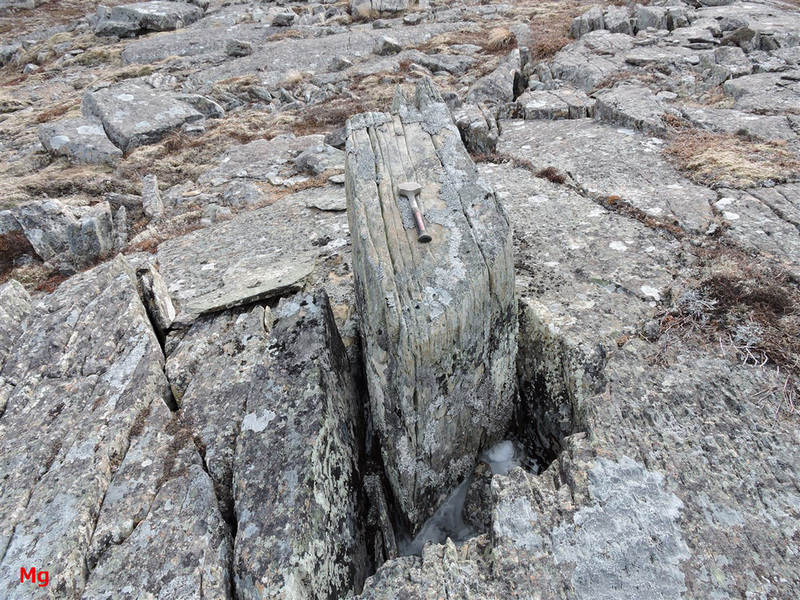 6) Joints are widened and fissures open as hydraulic pressure and ice-segregation pressure combine to displace bedrock. 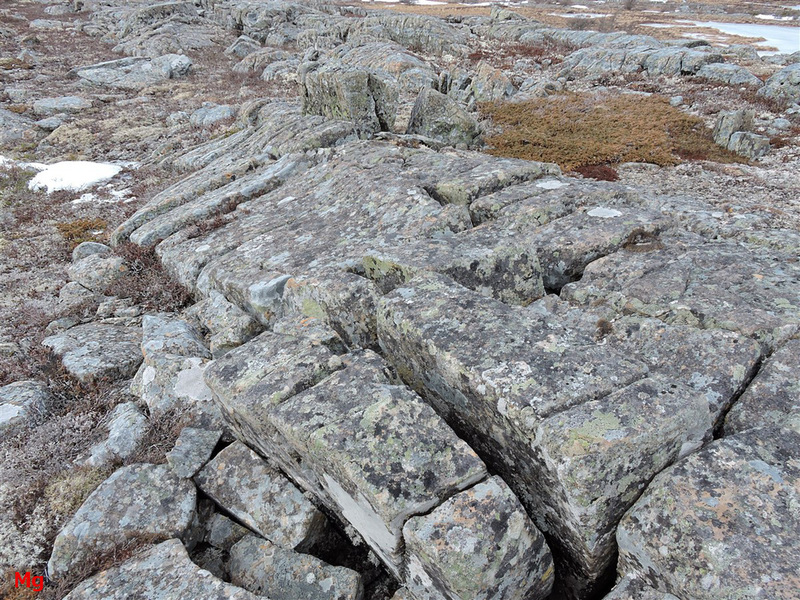 7) Disrupted bedrock fragments advance into overlying cold glacial ice. 8) Ice cover depletes entirely without ever returning to warm-based glacial conditions sufficient to entail significant basal-slip erosion. 9) The Younger Dryas cold period ends and the Holocene epoch commences. 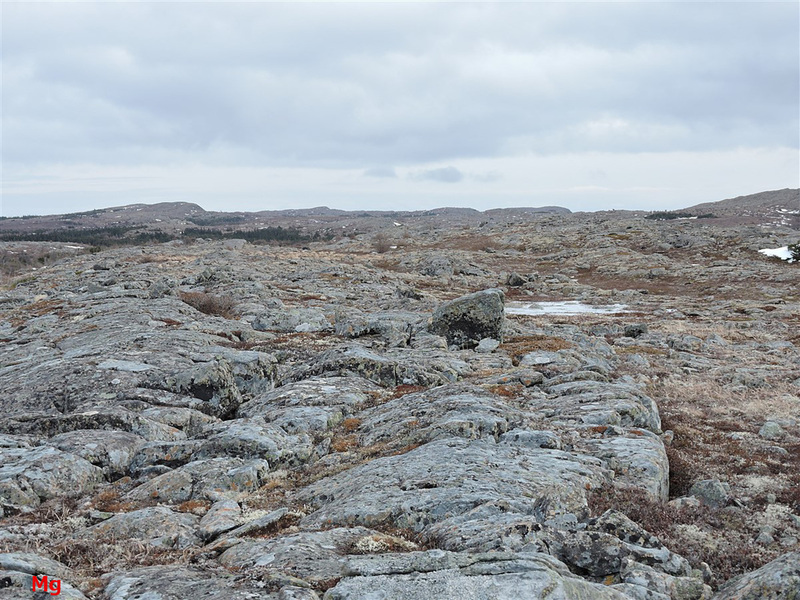 The subglacial-origin model for ice-disrupted bedrock features seen on the Avalon Peninsula is better supported by observations than is the subaerial-origin model. 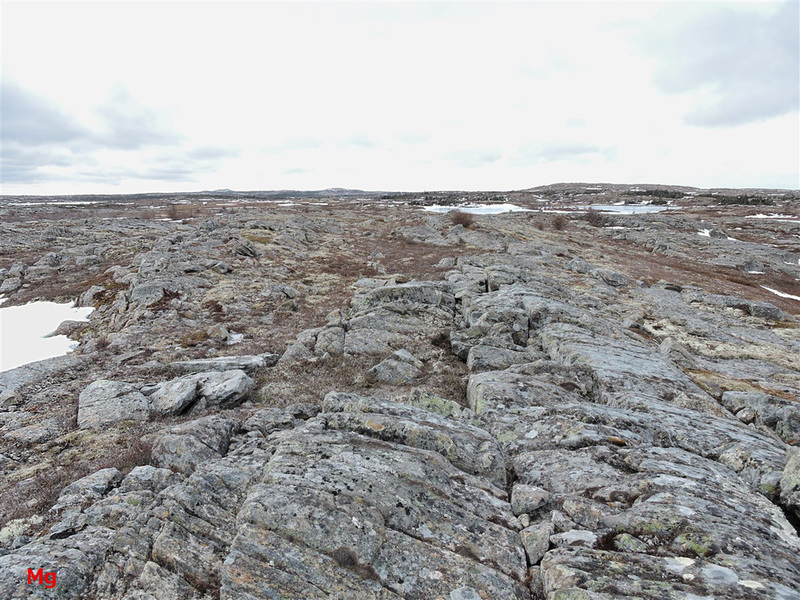 The pictures below show scenes and landscapes from a large area of exposed bedrock. 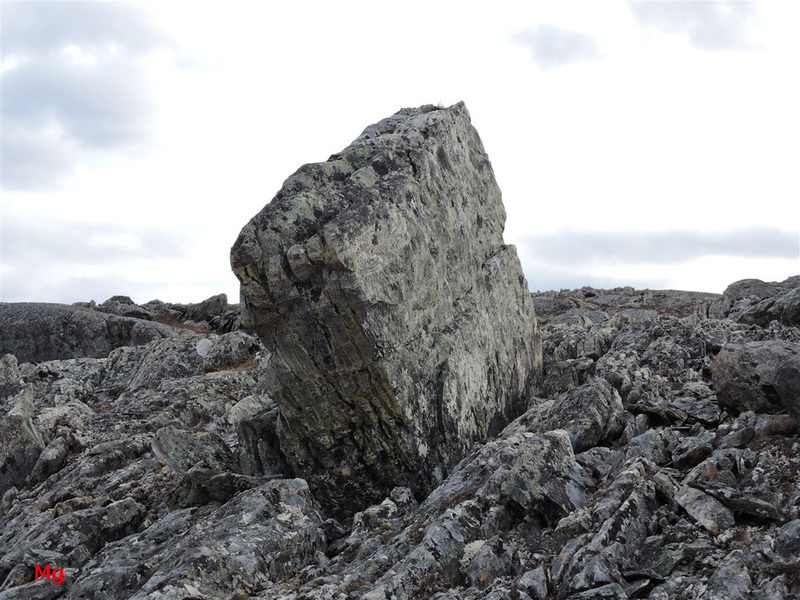 The bedrock was heavily eroded by the flow of warm-based glaciers which left behind smoothed and streamlined landforms but few erratics and little visible till (till deposits in some areas may be covered by vegetation). 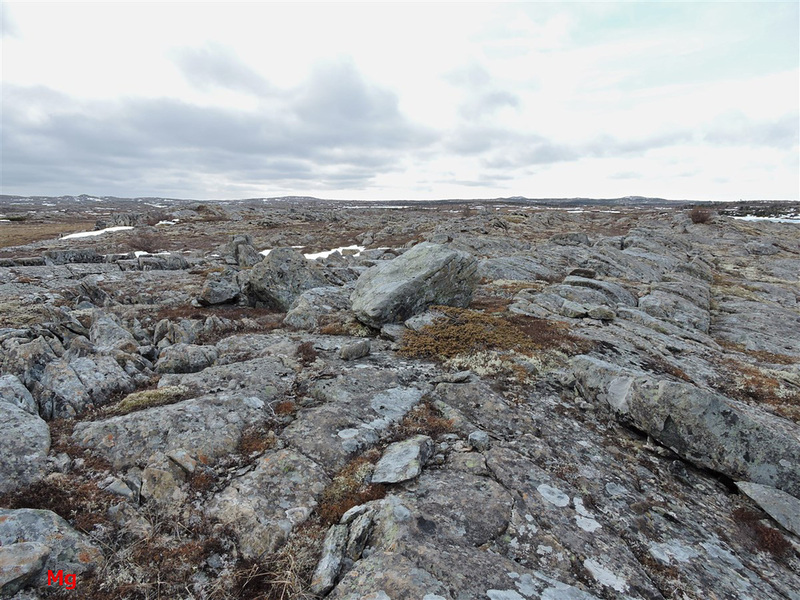 The rock debris seen in the photos is mainly ice-disrupted and frost-heaved bedrock and in most instances, the broken rock lacks indication of long-distance glacial transport.